It’s that time again where I present you you the books I plan to read this month! I bought 3 of the books on this months TBR new books in the month of October, as shown in my Wrap-Up, and another one in September which seems so long ago. I’m keeping my TBR for this month limited to about 4 books as I am participating in NaNoWriMo (National November Writing Month) for the first time ever this year. I thought I should participate this year as exams end on Thursday and I will be absolutly bored-out-of-my-brains after its over, and instead of wasting my life binge-watching the new seasons of Scorpion, Agents of Sheild, Luke Cage, Iron Fist, etc. I though I should use my time to do something productive and worth while. For NaNoWriMo I am writing a Science-Fiction/ Futuristic based novel, which is currently titled, Beneath Unatural Skies; hence the reason for me chosing the following books to read this month to help fuel my imagination and writing creativity! Stealing Snow by Danielle Paige – I chose this book as it is a fairytale retelling, and the first I will ever read (because I havent read the Lunar Chronicals-shame on me), and I belive it will help not so much my NaNoWriMo novel, but another novel I am writing that just so happenes to be a fairytale retelling as its core idea stems from a Lewis Carrol classic. Stealing Snow is the first novel in a thrilling new series. The Thousanth Floor by Katherine McGee – This novel is said to be of the science-fiction genre set in the future, which is very much the theme I am aiming for with my novel, so I belive that in reading this, I will gain knowledge on how to properly execute a novel that is of the sci-fi genre set years in the future. 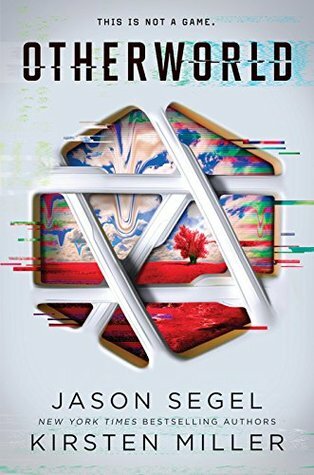 Gemina by Jay Kristoff & Amie Kaufman – I bought this second book in the Illuminae Files Trilogy last month, and it was on my Most Anticipated Books of 2016 alongside Magnus Chase book 2 (below), so it is a must I read this. Also it is set in the future and well THIS BOOK! Magnus Chase and The Hammer of Thor by Rick Riordan – The second book in the ‘Magnus Chase and The Gods of Asgard’ series, was as I said above, on my Most Anticipated Books odf 2016 list and is a must for me to read because Rick’s work is phenomenal! Also, my novel may be edging toward the Middle Grade category just a bit – and I want to make it funny – so who better to model from than Rick Riordan? You can purchase each book with free shipping from The Book Depository by clicking the appropriate links below. Have a lovely night and an amazing November! Good Luck to anyone and everyone who is writing a novel, especially those participating in NaNoWri Mo this month. May you all reach 50,000 words. © Jasper+Spice 2015. All Rights Reserved. Please do not use without permission. All opinions are my own and some photos featured are from my Instagram @thebookishbree, some are from Goodreads, and some belong to the credited blogger. You can also follow me on Goodreads. New Harry Potter Wizarding School + Sorting!